Friday! Friday! This week we’re pleased to present another author who fell in love with Ireland and gained citizenship here in his latter years. 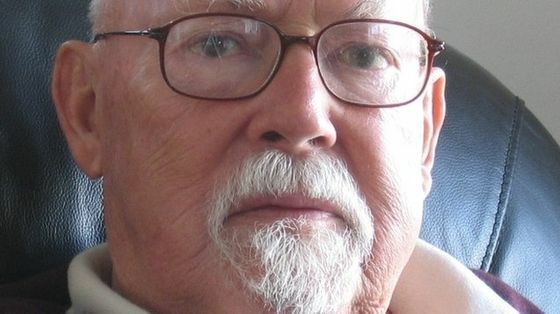 Harry Harrison was an author that many science fiction readers grew up with, and has had a lasting influence on the SF landscape. During his lifetime he was known for his acerbic wit and morality, and was well known and liked within the science fiction community. 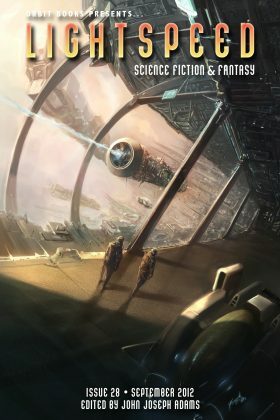 The Stainless Steel Rat series is a classic example of SF writing, but today we present you with ‘The Streets of Ashkelon’. It’s a popular story, having an alternative name (‘An Alien Agony’), and which first appeared in Aldiss’s New Worlds in 1962. It’s been reprinted over 30 times since then, so we’ll hope you’ll forgive us for adding one more to that list! The story is a tale about a missionary who arrives on an alien planet and tries to proselytize Christianity to the aliens, despite warnings against this. The alien race, the Weskers construe everything in an explicitly literal sense, and disaster ensues. Paul Cook called it ‘one of the saddest science fiction stories ever written’, and it was possibly written in response to James Blish’s A Case of Conscience (1958). Despite this, we hope you enjoy the writing of an author who continues to leave a deep legacy in science fiction thought and writing. And don’t forget; Solyent Green is people! Irish Fiction Friday: Celine Kiernan: Dead Water.